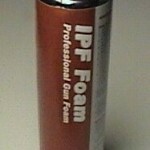 PRODUCT DESCRIPTION: Expanding tan foam which can be painted. Designed for filling spaces, gaps, cracks and crevices on most any structure, this professional caulking compound is as good as it gets. It will dry tack free in just 20 minutes and cures in 24 hrs. 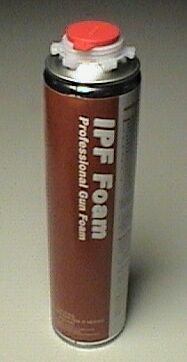 For use in one of the PUR Guns, either the Basic or the Pro (sold separately). This foam has a unique combination of spices – similar to hot pepper – that most animals and insects will avoid. WHERE TO USE IT: Inside or outside, this material is great for filling any space or void. It can be sanded and painted so you can finish over treated surfaces for cosmetic purposes. It deadens sound, can keep out perimeter invaders like insects and animals and will help prevent mold/mildew and other moisture problems. Sealing will also help to stop air flow leaks which can cost a lot during cold or hot weather. 3375 feet of a 1/4" bead. 1500 feet of a 3/8" bead. 900 feet of a 1/2" bead. TIPS ON HOW TO "BEST USE FOAM SEALANT"